Ha! Ha! Ha! Are you serious? Have you ever tried to keep a woman quiet? Don’t you think God knows that is impossible? OK, ladies, I’m just kidding. The truth is that Jesus Christ was the greatest emancipator of women who has ever lived, and that the apostle Paul followed in his footsteps. Both of them had to buck the cultural system that had in large part stifled women for centuries. Even today, most people are appalled at the cultural inequality of men and women around the world, and especially in the Muslim culture. Christendom, however, is rife with its own sexual inequality, and has recently tried to come out of the Dark Ages, at least theologically. Bible teachers are recognizing that God originally put all of His creation under the rulership of man and woman (Gen. 1:26 KJV– “let them have dominion”), and that it was the Fall of Mankind at the beginning of creation that created a disproportion in the husband-wife relationship. While many theologians recognize that “in Christ” there is a mending of that relationship, few are teaching it. Many wrongly teach that Moses’ statement in Genesis 3:16 NASB1—“…he shall rule over you”—provided the instruction for men to be “over” women. However, the context clearly shows that this tendency for men to abuse women and for women to put up with way too much is a consequence of the Fall, not a statement of God’s intention for marriage. Basically, there are two sections in the Bible upon which misguided people base their erroneous assumption that women cannot teach, etc. These passages are 1 Corinthians 14:34 and 35 and 1 Timothy 2:11 and 12. At face value, the immediate problem with interpreting the above sections of Scripture in the traditional way is that such an idea contradicts many other verses. Back in the ancient Hebrew culture, Scripture speaks of women like Miriam, Deborah, and Huldah leading God’s people and doing great things for Him. 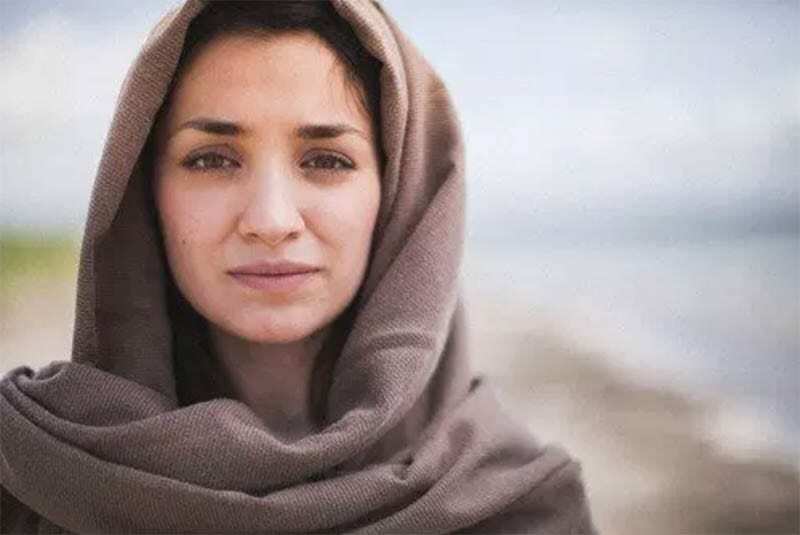 In the Christian Scriptures, we see Elizabeth (Luke 1), Anna (Luke 2) the four daughters of Philip (Acts 21), Priscilla (Acts 18), Phoebe (a deaconess), Junia (an apostle), and other women mentioned prominently (Rom. 16). Knowing that the Word cannot contradict itself, we must therefore closely examine the two passages in question. It is highly unlikely that an apostle or a deaconess would not be called upon to teach or lead. There is a preponderance of evidence indicating that at some point through the years, 1 Corinthians 14:34 and 35 was added to the Greek text. Due to the constraints of brevity, the first thing to understand is that most all of those original translators of the KJV were from the upper crust educational echelon, and some were “snooty scribes” who wanted women to be quiet. There is also plenty of textual evidence from the old manuscripts available that someone slipped in these verses during the course of translating the chapter, which you will find if you dig into this. Just contact us and we can point you to other sources of information about this topic. Also, there is CONTEXTual evidence in 1 Corinthians 14 itself, as follows: (1) verse 31 says “all” should prophesy, and that includes women, (2) not all women have husbands, (3) it presupposes that every woman has a husband who can answer her questions, which is absurd, (4) verse 26 says “everyone” was speaking up, (5) verse 36 doesn’t fit with verses 34 and 35, but it perfectly follows verse 33, (6) the Law did not clearly say that women could not speak. 11 A woman should learn in quietness [hesuchia] and full submission. 12 I do not permit a woman to teach or to assume authority over a man; she must be quiet [hesuchos]. These are the other verses most often cited in defense of muzzling Christian women. For an incredibly thorough and textually technical exposition of 1 Timothy 2:11–15, see the book, I Suffer Not A Woman, by Richard & Catherine Kroeger, in which they take about 300 pages to deal primarily with those verses. There is a translational error in verse 12, which should read, “I do not permit a woman to teach or claim that she is the author of man; instead, she must be well behaved.” Huh? This statement specifically refuted the contemporary Gnostic myth that the woman was created first and then gave life to the man. Then verse 13 makes sense: “For Adam was formed first, then Eve.” The word “or” in verse 12 is conjunctive, not disjunctive. That is, both teaching that the woman came first, and claiming authorship of the man, were forbidden. In closing, we need to point out two other misconceptions that have played into the fallacious notion that Christian women are not the spiritual equals of Christian men. The first is how many people have mishandled the record in Genesis 3, saying groundless things like, “The woman was the original sinner.” Romans 5:12 clearly holds Adam accountable for that, not his wife. And as per 1 Timothy 2:14, she was deceived, but he willfully disobeyed. No doubt that error has led to the wrong concept of “submission” that some people get from Ephesians 5:22–31, and in particular verse 22, which reads, “Wives, submit yourselves to your own husbands, as you do to the Lord.” Actually, we should begin with verse 21, which says that every Christian is to “submit” to others in the Church, in the proper sense of the word. The Greek word is hupotasso, which is best understood as “loving arrangement by proper arrangement and deliberate decision.” The point of the “one flesh (one body)” analogy is that a head (husband) and a body (wife) function in a mutually reciprocal way, with each at times dictating to the other according to their needs. Teamwork is much more in view than tyranny. And that is because when God originally made two sexes, he purposely made them very different. After He took DNA or whatever out of Adam and made his “other self,” which is how Adam first referred to her, God’s design was for them to come back together as “one flesh.” Yes, men and women perfectly fit together physically, but they also fit together emotionally, intellectually, and “insightfully,” if you will. Women are often much more intuitive and perceptive, and therefore more attuned to reality. Their input is indispensable, and that is why Satan authored the absurd lie that God does not want them speaking up. He wants to silence 50% of the Church population! Thank God that he has failed miserably in so doing, because there are fabulous women teachers throughout the Body of Christ who are powerfully ministering the Gospel to others. So ladies, keep those cards and letters coming! For further study, see our wonderful foundational class: One Day With The Creator, Segment 9, Part 2, and Segment 20, Part Two, where John elaborates on this subject. 1. Scripture quotations marked (NASB) are taken from the New American Standard Bible®, © 1960, 1962, 1963, 1968, 1971, 1972, 1973, 1975, 1977, 1995 by The Lockman Foundation Used by permission.